3D modeling is a manner of creating 3 dimensional objects. When it comes to 3D printing, 3D modeling is often done through a 3D files can be affected to the desired dimensions of the print. Without a 3D model, a 3D print is impossible. 3D modelling is process of creating a 3D object using 3D modelling programs. CAD modelling visually represented as two-dimensional image using 3D rendering or visualization techniques. There are 3 general types of 3D modelling methods, which are listed below. Polygonal Modelling: A polygonal model represents points in 3D space connected by line segments to form a polygon mesh. Polygonal mesh files are planar, which means that they are represented by a series of flat facets. Therefore, curves can only be approximated through surface subdivision with a defined resolution. Polygonal meshes are convenient because they are lightweight and visualizations can be rendered quickly. Curve Modelling: Another type of modelling that relies on curves to generate surface geometry. Curve modelling can be both parametric (based on geometric and functional relationships) or freeform, and rely on NURBS (nonuniform rational B-splines) to describe surface forms. The curves are driven by mathematical equations that are influenced by the designer using weighted control points. Check out our entry on Rhinoceros to learn more about curve modelling. Digital Sculpting: This is a relatively new type of 3D modeling where the user interacts with the digital model as you would modeling clay. Users can push, pull, pinch, or twist virtual clay to generate their model. Sculptris is a great example of digital sculpting. Code-driven modelling: this is a growing area of modelling where geometry is generated autonomously based on conditions set in place by the designer. To read more about how this works, check out our entry on Autodesk's Deamcatcher . This type of modelling is excellent for 3D printing as it can be used to generate 3D structures that can't be manufactured through any other means. 3D modelling is used to generate 3D models for sectors ranging from engineering and manufacturing to digital animation for films and video games. The first uses of computer graphics were in the early 1960s for scientific and engineering purposes, and CGI artistic expression began by the late 1960s. The first commercially available solid modeler program named Syntha Vision was released in 1969. It wasn't until 20 years later that NURBS and parametric modeling appeared on the scene, the latter being the birth of Pro/ENGINEER. 3D Modelling grew in popularity and utility, with 3D modelling applications ranging from film and video games to all aspects of commercial design and manufacturing. The first 3D printing technology, Stereolithography (SLA), emerged in 1986 and lends its name to the now popular STL file. The STL file is the most common file used for 3D printing. STL files can be exported by almost any 3D modelling software. Get started quickly and for free by trying out MeshMixer or Sketchup! If you're looking for a more powerful piece of software to make your 3D printing model, try Solidworks or Inventor. The learning curve can be steep on some of the 3D modelling programs. 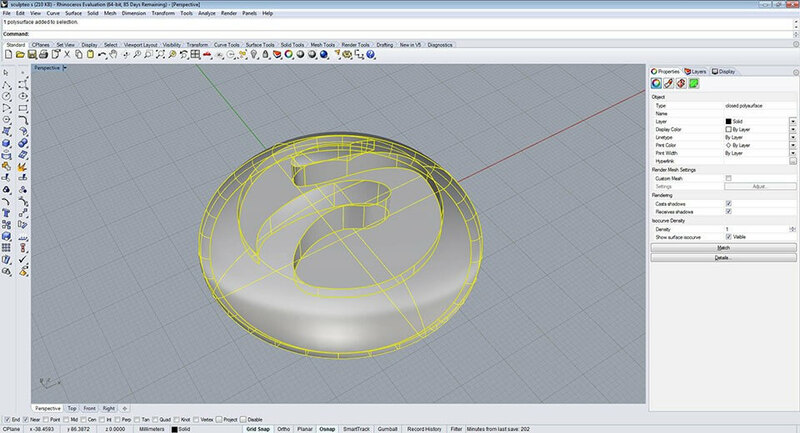 Get a head start by visiting our tutorials page and learn how to make a 3D model! Is your 3D print model ready to go? If so, upload it here. Are you having problems with your model? Check out our webpage on how to repair your file and our eBook on how to fix your 3D files.